Screenshot from a video posted by Westport police showing a suspect dropping a box at a Westport home. Call it the case of the mysterious box-leaver. 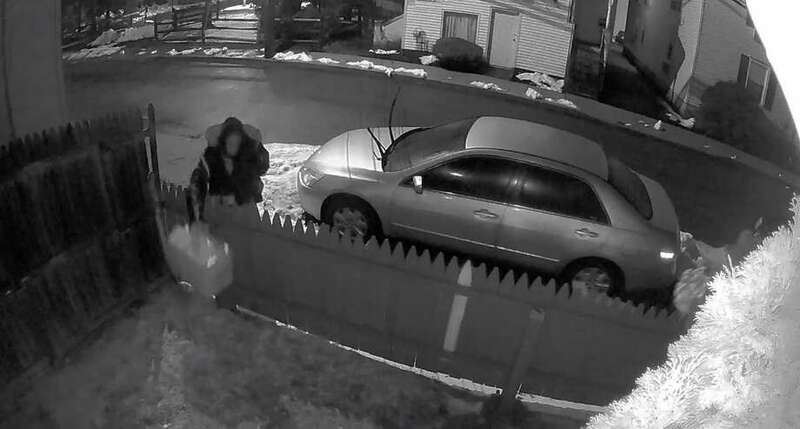 Westport Police detectives are searching for two people who have been, well, leaving boxes in the yard of a particular home. It’s been going on for a year. A video posted by police shows the, um … incident … and indeed, what appears to be a woman can be seen nonchalantly placing a box on the inside of a fence. “The individual is seen leaving the box and continues walking south bound on Franklin Street towards the Westport Train Station,” police said. As for what’s in the box — the natural question — it is unfortunately not yet known. Police did immediately not respond to a request for comment on the case. Anyone with information is asked to contact the Detective Bureau at 203-341-6039.